What is it about us at Club Boutique Hotel Motel Cunnamulla that will keep you coming back. well we could talk all day but in short it’s a heritage Cunnamulla hotel motel offering newly renovated hotel rooms and suites with excellent services & amenities. This luxury boutique Cunnamulla Accommodation is situated a in the heart of the CBD and offers free WiFi and on-site parking. The Club Boutique Hotel Motel offers the best Cunnamulla accommodation for corporate, business and leisure travellers, and has the best fine-dining restaurant in Cunnamulla. Club Boutique Hotel’s Cunnamulla restaurant offers a diverse menu to suit all tastes in addition to a well stocked bar offering a great variety of local and imported beers, wines and spirits. This Cunnamulla hotel and restaurant offers catering for events & functions, venue hire, and weekly restaurant specials. We take care of it all so you don’t have to worry about a thing! Our all-inclusive Cunnamulla hotel motel accommodation packages ensure our guests can just relax, unwind and enjoy our warm outback hospitality. 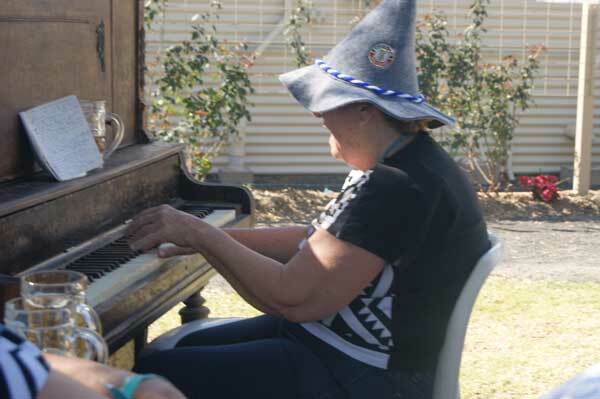 If you’re not sure of things to do in Cunnamulla, our tour-booking desk can provide you with local tourist information as well as Cunnamulla day tours and activities. The Club Boutique Hotel Motel offers quality accommodation combined excellent service and luxury.